and ramacinata semolina. Ordered both flours. Amazing quality. The pasta is like yellow velvet. Helps that we had local double yolk eggs. 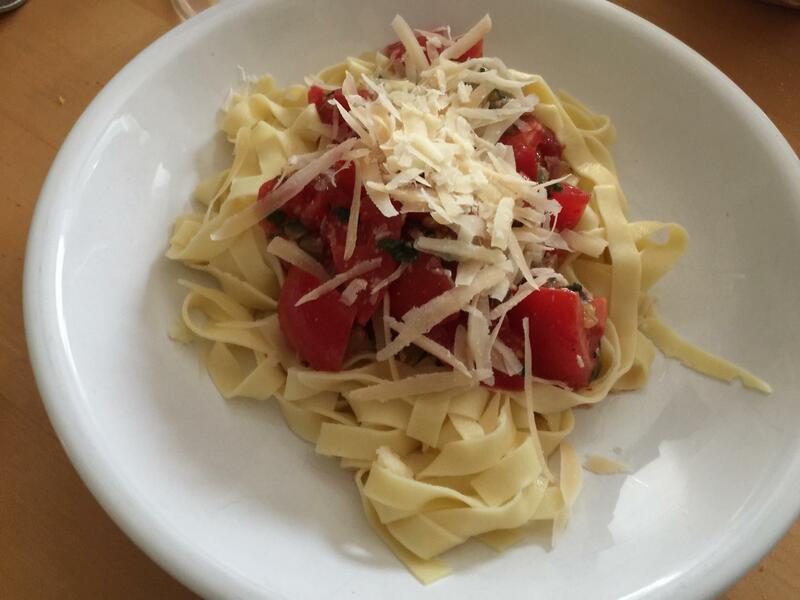 Served with a pasta Fresca sauce. Fresh local tomatoes, caper berries chopped, my preserved Meyer Lemons diced, pancetta , a squeeze of anchovy paste, EVOO fresh basil and Parmesan grated on top. Toasted SD. 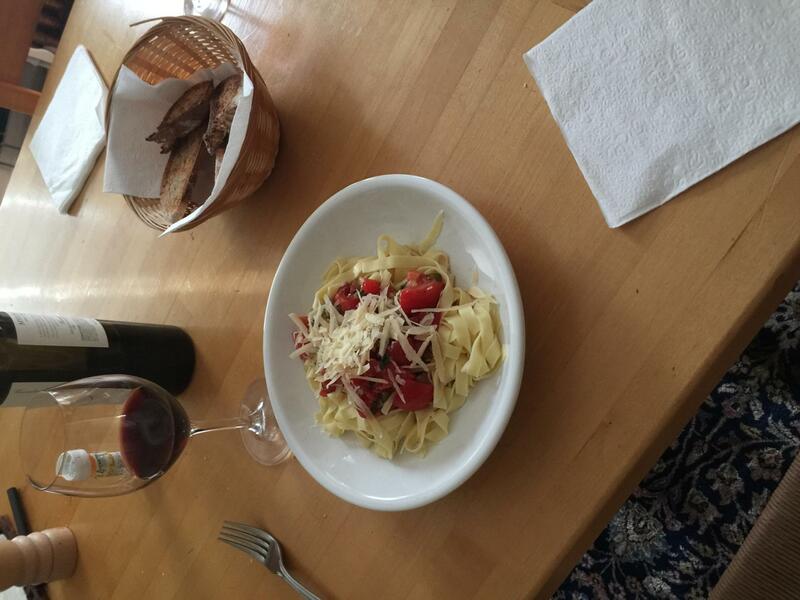 Nothing beats fresh pasta and a glass of wine. the heat is back here in VA. We haven’t had a/c in our upstairs since early July! We do have it downstairs thank goodness. We like cold and room temp food in hot weather. I change up the ingredients each time but this pasta flour is new to me. I have had the Caputo 00 for pizza crust in the past. I found these on Amazon with free shipping. Looking forward to trying more ideas. Looks and sounds delicious...I keep telling my wife I'm going to make some fresh pasta again, but just have not gotten around to it. Now that my tomatoes are finally ripe I should really do this. Some Burrata style moz. would go perfect with this as well :). Thank god for air conditioning! It's so humid and hot today you could cut the air with a knife. I got free shipping due to amount of purchase. A great deal considering the cost of shipping these days. Also you get a discount coupon from Brick Oven in the box for your next purchase from them .